The best way to save money on groceries is to obviously start cooking at home. Going out to eat even once a week can put a huge dent in your wallet. When you cook at home, you do need kitchen appliances and tools, but hopefully they will save you more money than they cost to purchase. If an appliance or tool can save you time, that’s priceless. Cooking can be a time-consuming task, so don’t fall for appliances and tools that are only going to make the process a whole lot longer. I want to share this list of kitchen appliances and tools with you that either I’ve loved using myself or that I wish I had. 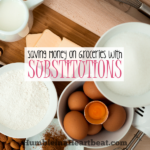 They will definitely cost you money from the get-go, but once you use them enough, you’ll save so much money over dining out or even buying certain foods from the grocery store. The number one way I use my KitchenAid stand mixer ($280, Amazon) is to make bread. I have had it now for 9 years, but it wasn’t until I was married a few years later that I really started using it. Making your own bread by hand can turn into an all day process, especially if you’ve never attempted it before. Fortunately, a stand mixer can help you make bread with ease. I don’t have to bend over and knead bread dough forever. I just add all the ingredients and let the mixer do all the dirty work. There are so many other great uses for a stand mixer. 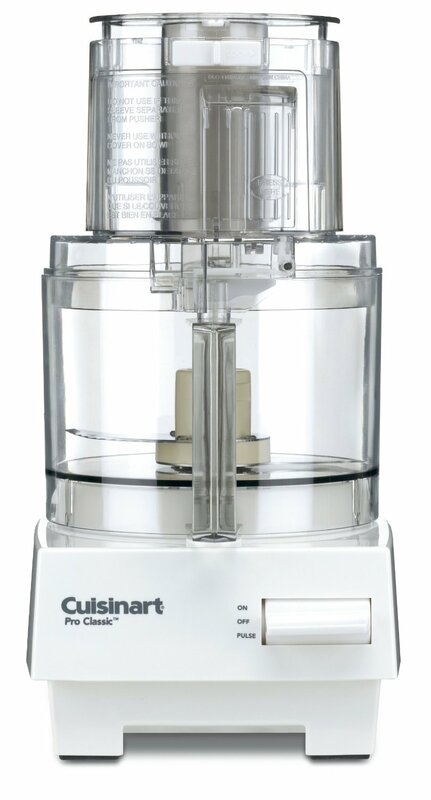 I have used it to make cookies, shred chicken, puree mashed potatoes, and beat whipped cream. For the first four years of my marriage, I used extremely cheap knives that caused me to spend more time in the kitchen than I should have. When we got our first sharp chef’s knife, I was blown away. Scared of chopping my fingers off, yes, but blown completely away. I didn’t even know how to chop properly, so I had to watch a few YouTube videos first. After some practice, I felt comfortable using the sharp knife and spent way less time preparing food. The problem with the knife, though, was that it didn’t stay sharp for a very long time. We finally got a honing steel and now we don’t have to worry about replacing our expensive knives. They might have been expensive, but they save us so much time and we don’t have to order takeout because we are so annoyed by how long it takes to cook one meal. After some research for the best knives, I would recommend a Chicago Cutlery Chef’s Knife ($18.50, Amazon) or a Mac Knife Chef’s Knife (a great deal, but a little pricier at $60, Amazon). To extend your knife’s life, consider also getting a sharpening steel ($7.70, Amazon). As you spend more time in the kitchen, you will probably want to expand your knife collection. You might need a paring knife, serrated knife, boning knife, or santoku knife. They all serve different purposes, and they’ll definitely save you more time and money. You may laugh, but I know people who own great knives yet their cutting boards are thin, flimsy plastic. 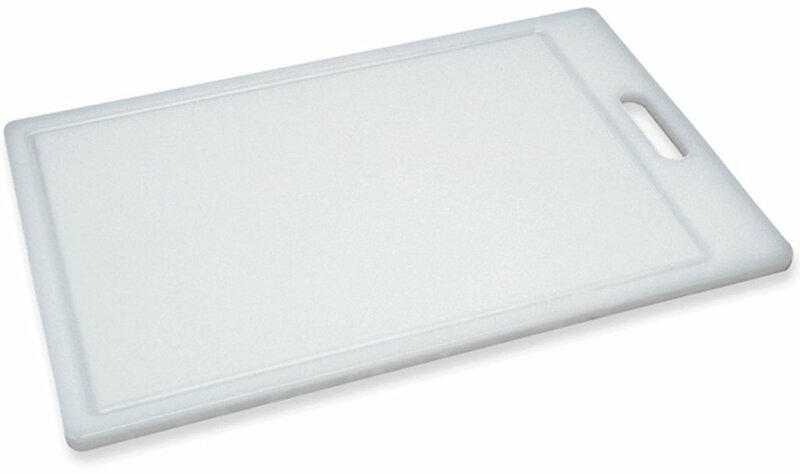 You need to have a sturdy and high-quality cutting board ($19.23, Amazon) if you plan on saving time prepping your meals. It would be even better to have two – one for chopping produce and one for raw meat. A sturdy cutting board saves money by helping you get all your produce prepped quickly. I would certainly be more excited to chop if my cutting board helped me get the job done faster. A pot is essential for cooking sauces, soups, broths, and more. Last year I bought this high-quality pot ($35.73, Amazon) that has transformed the way my food turns out. I make a pasta sauce that used to be just okay before the pot, but now it is excellent. The pot is a great conductor of heat, which makes the food I am cooking in it cook more evenly and faster. You’re saving time and money with great pots because you can make wonderful food at home that you might normally buy at the grocery store. A high-quality pot will do a lot of the work for you. Whether you are making a stir-fry, scrambled eggs, or quesadillas, a good-quality skillet ($42.49, Amazon) is a must. You can waste a lot of time waiting for a poor-quality skillet to cook your food just right, and then it might end up costing you more money if it tends to burn food easily (I have a skillet that often does this, and not because I forget about the food!). My mom bought me a couple of really nice skillets soon after I was married, and we use them all the time. She got them from Sam’s Club, and they are definitely professional quality. We’ve had them for 7 years and I don’t see an end in sight. Blenders are so versatile. The cheap ones are really only useful for making smoothies and pureeing soups. Even then, you still might end up with a few chunks. You need a high-quality blender ($84.99, Amazon) if you want to make more than those two things. You can definitely save a lot of time and money making your own hummus, refried beans, soup, and more in a blender. For several months last year, I was out of a blender. The blender we had was cracking at the base and leaked everywhere. This year, my sister let us use a blender she no longer needed, and it is so nice to have a blender again. 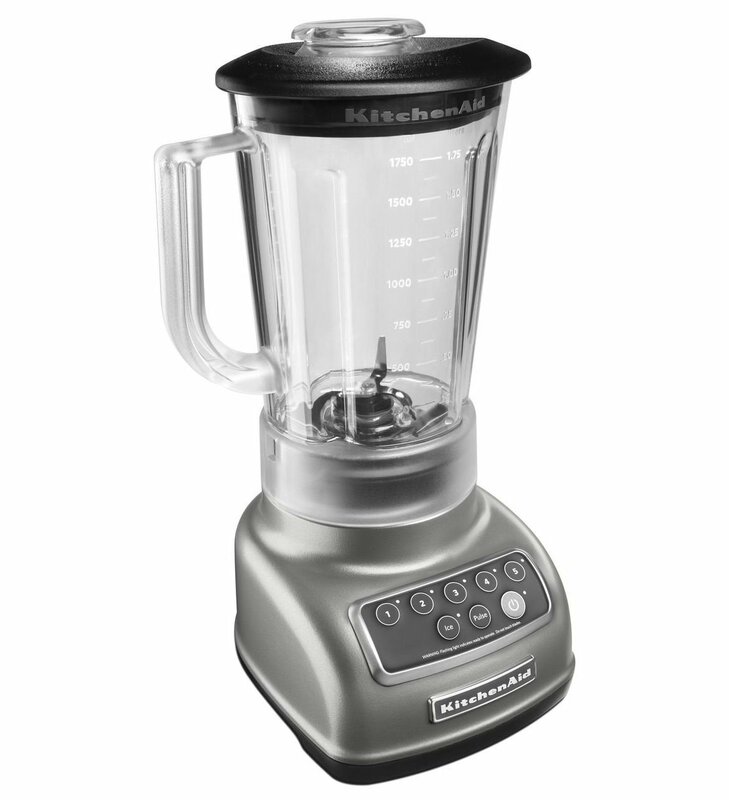 Even if it’s not the best blender on the market, it is a great kitchen appliance to have around. Before I had a food processor, I really didn’t know how much I was missing out. It saves so much time in the kitchen. 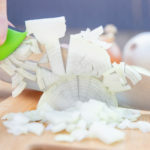 You could spend 30 minutes chopping everything you need for a certain dish, but you can do the same job in less than 3 minutes with a food processor ($99.95, Amazon). Oh, how I miss my food processor. At about the same time our blender went out last year, the food processor went kaput too. Unfortunately, it was not top-quality and only lasted three years. I miss it because there are so many things you can do with a food processor that you just can’t do by hand. I wanted to make coleslaw recently, but then I realized that we didn’t have our food processor and it wouldn’t be the same without it. I also love to make salsa, pizza sauce, and even shred cheese in a food processor. You can definitely buy all those foods from the store, but homemade is a lot cheaper (especially in the case of cheese) and delicious. Immersion blenders are amazing. I would have a couple in my kitchen if I had the space and money. With a really great-quality immersion blender ($32.87, Amazon) , you don’t have to use the blender to puree soups or make refried beans. 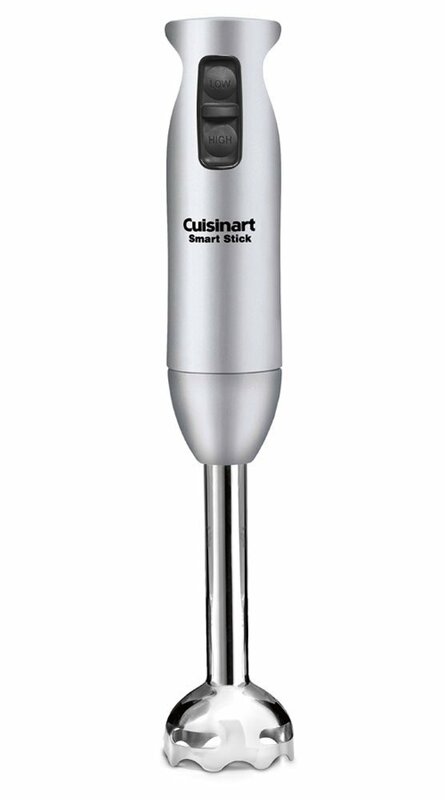 An immersion blender can save you so much time and leave you with less dishes to clean as well. I think an immersion blender is one of my favorite kitchen tools. Not surprisingly, ours doesn’t work anymore. 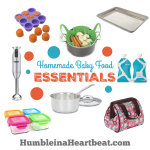 I used it all the time to make homemade baby food. If I could choose between the blender, the food processor, and the immersion blender, I would definitely choose the latter. Growing up, my family would get out a spatula each time a can was opened up. After all the contents were dumped out, that spatula went in to scrape out anything that was left. A spatula can be such a huge money saver. 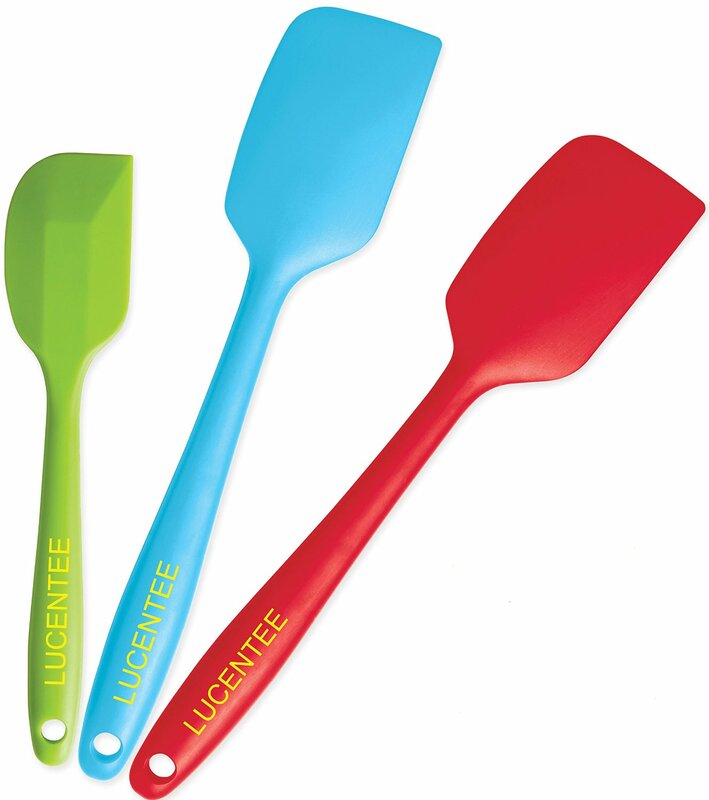 These silicone spatulas ($12.99, Amazon) are not only heat-resistant, but they can do way more than just scrape. You can use them to mix, stir, flip, and frost. Basically, they can replace many of the kitchen tools that you would normally need to do those things. A slow cooker is incredibly useful for those days when you will be really busy around the time you normally make dinner. If you have a meal cooking in the slow cooker, you won’t need to drop by your favorite restaurant to pick up food. That saves you time, money, and your health. 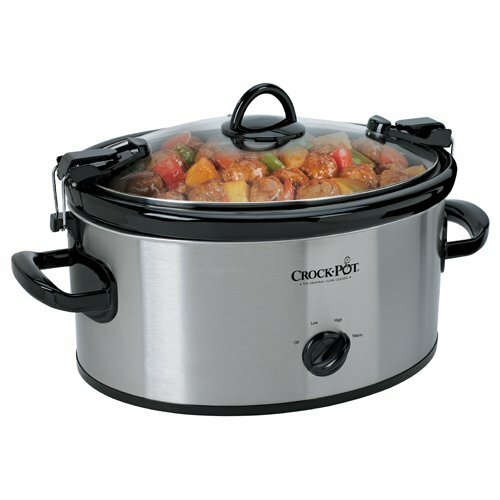 There are plenty of slow cookers to choose from, but I have always trusted the CrockPot brand ($29.99, Amazon). I just recently made chicken stock in my slow cooker. That is helping me to save time because I don’t have to spend time at a pot on the stove checking on it, and it’s helping me save money because chicken stock is super expensive at the store compared to homemade. A rice cooker is a very versatile kitchen appliance. It doesn’t just cook rice. You can also steam veggies and meat while you are cooking rice. Making one meal in the rice cooker will save on both electric costs and time. The greatest feature of a rice cooker is being able to choose when you want the rice to be done. So if you have to leave the house at 3 PM, you can get the rice cooker all ready to go and program it so your rice is completely done at 6 PM when you will be eating dinner. I actually have no idea how to cook rice on the stove because I have had a rice cooker since we got married. 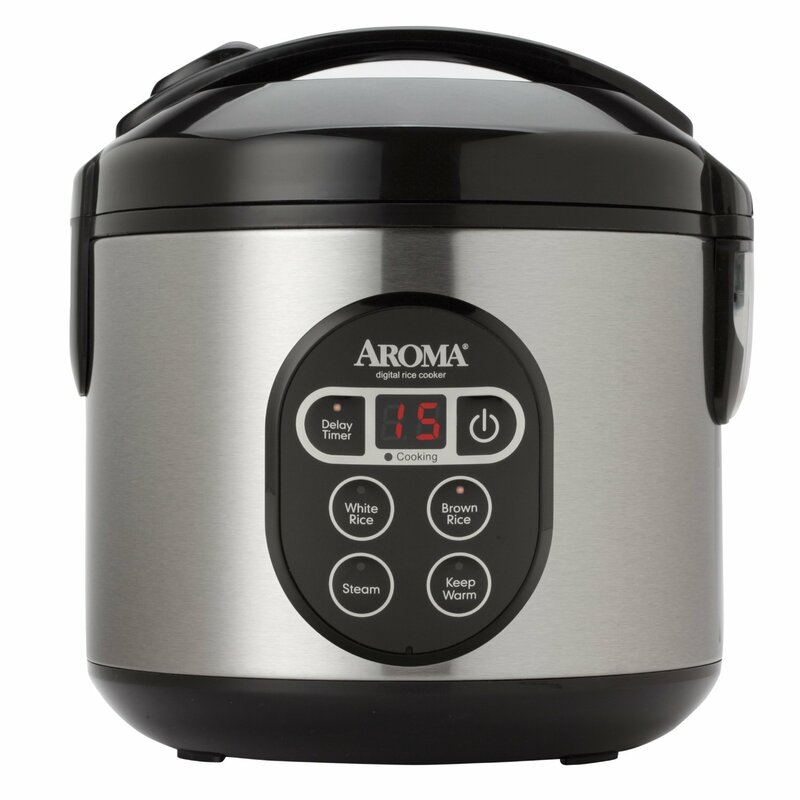 It’s so simple to use, and I absolutely love the Aroma brand rice cooker ($29.92, Amazon) we have. 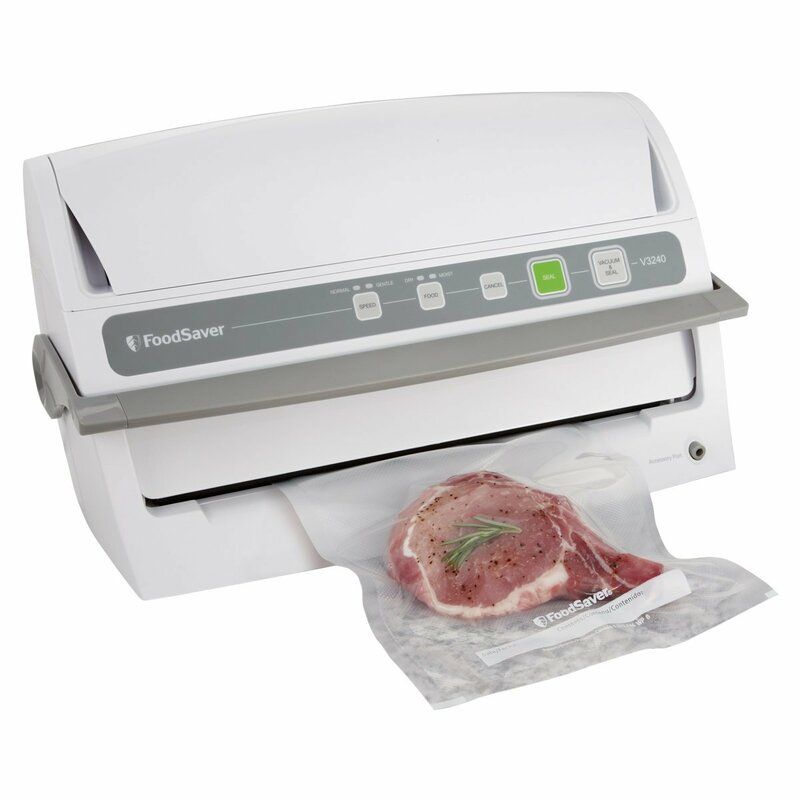 Preserving food from your garden or food you buy in bulk could not be easier than with a FoodSaver Vacuum Sealer ($120, Amazon). Freezer burn is caused by food being exposed to the frigid temperature in the freezer. So if your food is tightly sealed and then placed in the freezer, it will last even longer. 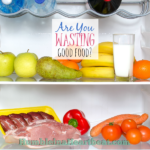 Imagine not having to waste hardly any food anymore! The day I heard about a vacuum sealer, I wanted one. Badly. I still have never bought one, mainly because of the price, but also because we don’t have a large chest freezer or a garden. If we had a garden and a large chest freezer, I think a vacuum sealer would be worth every penny. I had the opportunity to try my friend’s dehydrator earlier this year, and I really wish I could have one. I love having dried fruit around. It’s delicious and nutritious. You can also make fruit leather and jerky with a dehydrator. A dehydrator will save you money since you can preserve food that is at its prime and may have gone bad otherwise. This is the dehydrator that I tried out ($59, Amazon) and it worked great. A box cheese grater ($12.69, Amazon) is a must if you want to save money on cheese (unless you have a food processor that can shred cheese for you). There are four different ways to shred or slice the cheese. 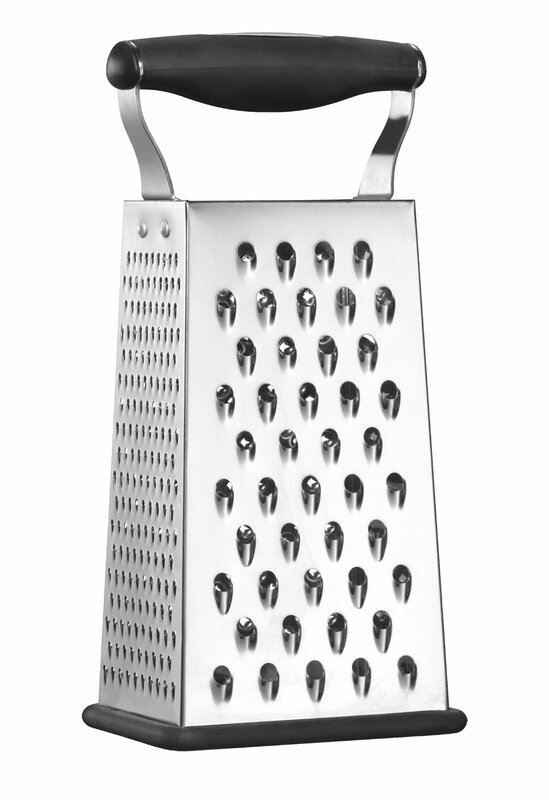 I like my box cheese grater because I can set it on a flat surface and go for it. I have tried shredding cheese with a grater with a handle and it’s almost impossible. I did some sleuthing last year to find out if it is better to buy pre-shredded cheese or a block of cheese and shred it at home. My conclusion was that a block of cheese was easily a lot cheaper than buying pre-shredded. With a chest freezer, you can preserve a lot more food than you can with the freezer above your fridge. I’ve also heard that a chest freezer helps the food you put in it to last longer since you don’t open it every day. 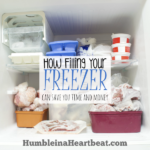 If we had a chest freezer, I would be more willing to do freezer cooking days, which I have heard are very cost-effective and save lots of time in the long-run. I cannot recommend any chest freezer that I saw on Amazon. The reviews were all too mixed and I would rather direct you to ones that are supposed to be the best. Start with GE and Kenmore. 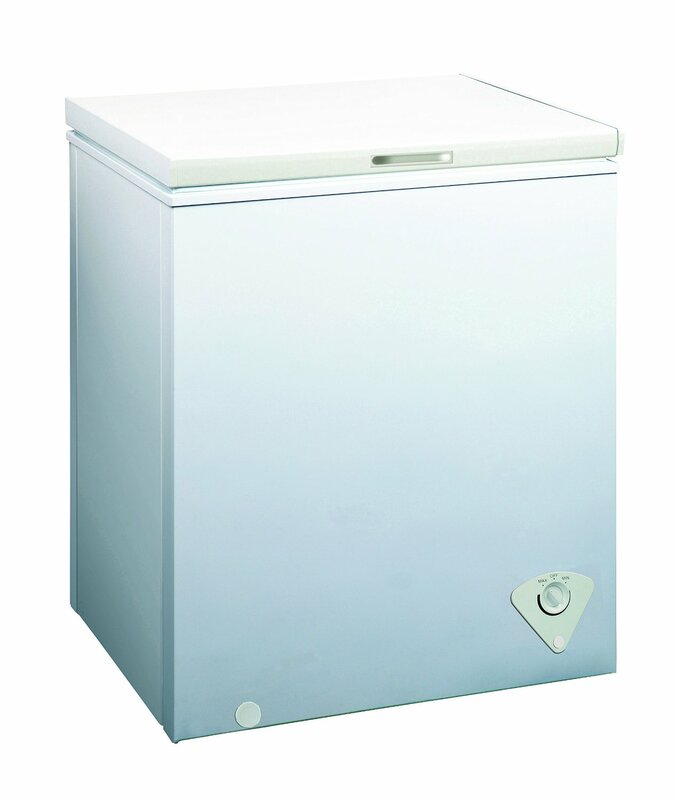 If you know someone with a chest freezer find out what the brand is and how long they have used it. 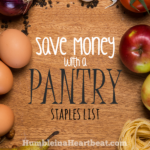 Why Buy More Things to Save Money? As a personal finance blogger who wants to help people spend less money, why would I suggest buying all these kitchen appliances and tools? I know first-hand what it is like to buy a cheap item that lasts about as long as you’d expect a cheap item to last. I would never tell anyone to buy all of these kitchen appliances and tools at the exact same time. If you desire to start cooking more food at home and leaving the restaurants and packaged goods behind, these tools and appliances can be extremely helpful. I would also never suggest anyone to buy something that they don’t intend to use. If you aren’t sure whether you would use one of these items, don’t even think about buying it. Just because you like the idea of making your own bread doesn’t mean you actually will make it. So don’t buy a stand mixer that would just clutter your counter top unless you really will use it. This list is not all-inclusive. 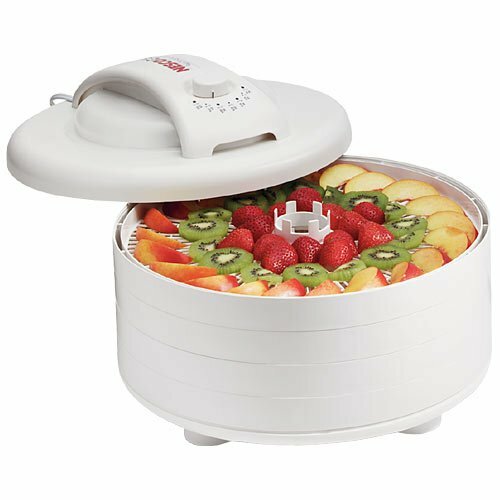 There are so many other appliances and tools that I could have listed such as a roasting pan or a salad spinner, but I just chose the ones that I think are the most practical and can save you the most time and money. 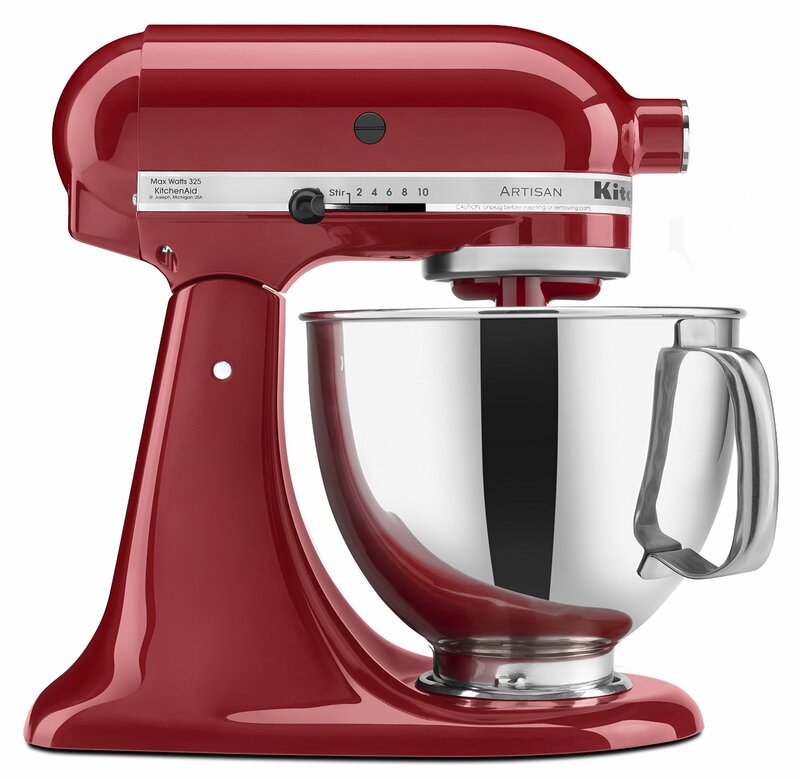 What kitchen appliances and tools do you wish you could have? Great list! I bought a chest freezer last year and love being able to store extra meals. My number one kitchen appliance is the toaster oven. I use ours almost daily to reheat food (leftover pizza is way better than microwaved) or for making smaller portions. Plus you won’t heat up the whole house like the oven tends to. I actually didn’t think about a toaster oven because we would have no room for it on our counters, but that is a fabulous idea. You save money by not heating up the oven as well. Thanks for sharing, Kristina! I have an upright freezer (wedding gift from my family) and that is my biggest source of savings! I love my crock pot too and have a couple in different sizes. Someday, I hope to have a food dehydrator too! What an awesome wedding gift! I really need a crock pot that is larger than the one I currently have. When I made my chicken stock, I was only able to put 2 quarts of water in it, and I could have made 4 quarts with all the bones and veggies I had! I’ve been meaning to get a slow cooker because I see it pop up over and over in frugal recipes 🙂 I think it’s definitely worth the investment and will save me a ton of time! And yes I agree, eating out even once a week adds up. 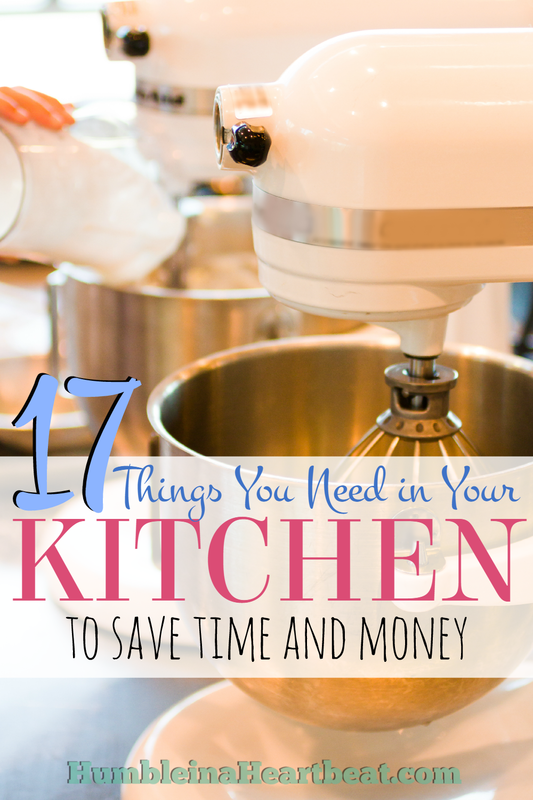 We almost always cook at home and it’s saved us a ton! Did you know you can cook bread in the slow cooker? It’s crazy some of the stuff you can make in there! Glad to hear your family eats at home to save money, Nina. You did a great list! I couldn’t live without any of those, especially the food processor is amazing. Its make me happier when I make salsa, pizza sauce in my own food processor. Thanks for sharing this great post.